After yesterday’s lengthy post examining Lexus’ decision to create their F-Division, I was left with an uncomfortable feeling, and it was quite clear to me where it was coming from. There is, and will always be, a distinct difference between theory and practice, and while I think it’s important for Lexus as a brand to have a performance division, I didn’t particularly care much for their first offering, the IS-F. A little too flashy, almost garish, and most importantly, lacking the sophistication and subtlety I’ve come to expect from Lexus design. 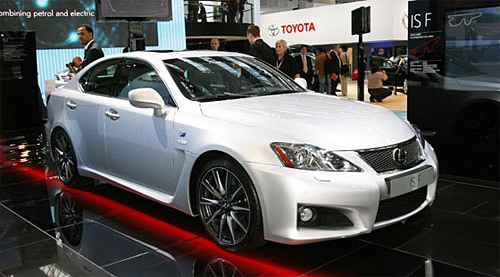 That is, until I was reminded of the white IS-F today, while browsing Car Magazine’s Frankfurt coverage. 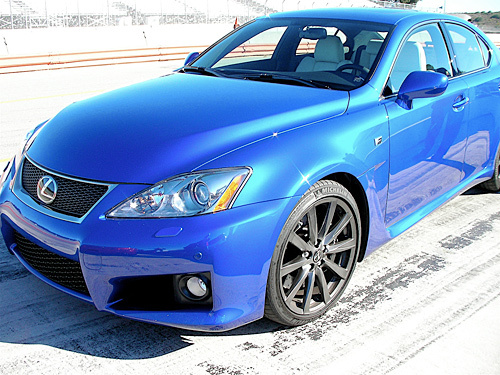 With Lexus’ decision to exhaustively portray the IS-F in a rather exuberant shade of blue, it had become harder and harder for me to imagine it in any other color. Seeing pictures of the car in white and red last month had changed my opinion considerably, yet whenever I pictured the IS-F, it was in that blue, gaudy and over-pronounced. The color may be exciting, but it’s hardly flattering. When looking at the above photo, it seems all the more like a Lexus. The sportier styling, overwhelming in blue, seem to blend naturally into the body, no longer glaringly obvious. I find myself looking forward to seeing it in black, in silver, but more importantly, I’m excited about its release, to see it in real life, and that’s more than I could have said yesterday. What a difference a color can make.